Noha A. Ghanem, Ibrahim A. Samaha and Mohammad A. Nossair. Fish products are more liable to contamination with pathogenic bacteria from human reservoirs during handling, processing and packaging. A total of 150 random samples of fish products represented by smoked Herring fish, Fessiekh (Fermented Mugil cephalus) and salted Sardine (50 of each) were collected from local markets in Alexandria Province. 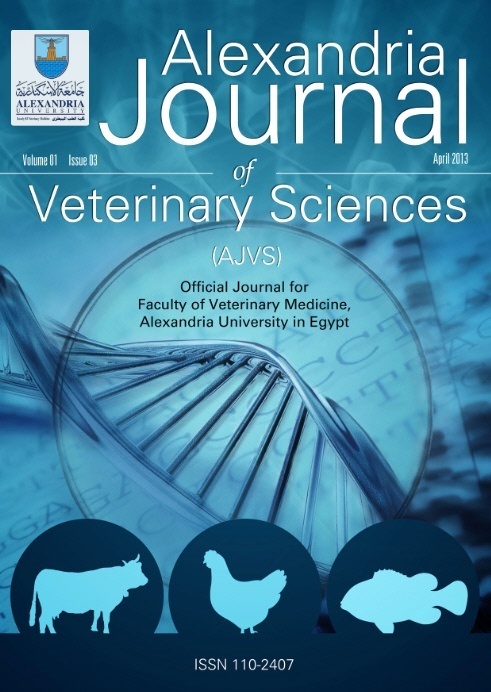 Samples were examined immediately after arrival to the laboratory the Food Hygiene Department, Faculty of Veterinary Medicine, Alexandria University under possible aseptic conditions for isolation and identification of some pathogenic bacteria including Staphylococcus aureus, Clostridium perfringens, Bacillus cereus and Vibrio parahaemolyticus. The obtained results revealed that the incidence of S. aureus in the examined samples of smoked Herring fish, Fessiekh and salted Sardine was 36, 24 and 46 %, respectively. In addition, the incidence of C. perfringens in the examined samples of was 20, 46 and 38 %, respectively. Also, the incidence of B. cereus in the examined samples was 8, 10 and 18%, respectively and finally the incidence of V. parahaemolyticus in the examined samples was 42, 8 and 6%, respectively. The hygienic significance as well as public health hazard of each isolated pathogenic bacteria, as well as the recommended measures to lower these microorganisms in marine fish species and improve their quality was discussed.